Learn how to easily customize your BBE powered website by visually editing each element. You'll just need to install and activate the CSSHero WordPress plugin. 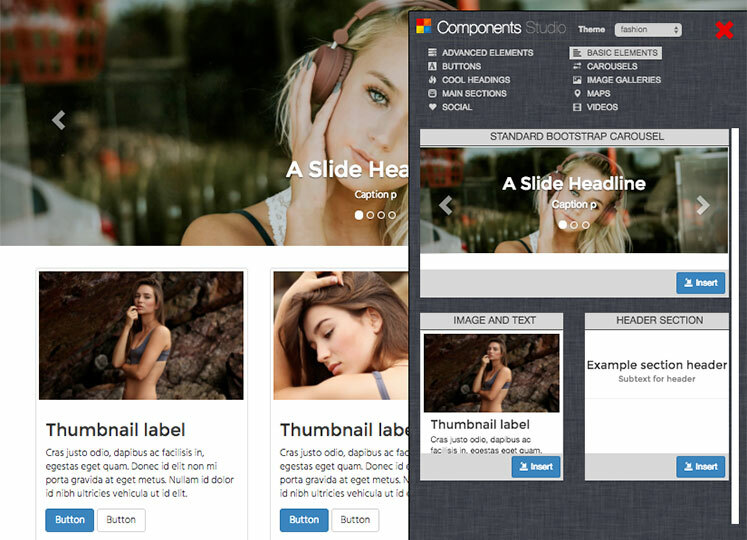 BBE is a WordPress Theme with a free, built-in page builder. Based on Bootstrap 3.3.6, it promises to help building effective, original, fully responsive webpages in a fraction of the usual time – but without the usual drawbacks of average page builders. Watch this introduction video to grasp the basic idea. The peculiarity of BBE compared to your average page builder, is the idea is to build combining tested, pre-made building blocks, as you might typically expect, but without losing the right to tweak each block’s HTML code – to twist it to your desire. BBE can be an experimentation platform, and the page builder of choice for all those folks who never really liked the idea of “losing control” with the generated HTML markup – a typical feeling that comes bundled with page builders. It is made with newbies and developers in mind – it can be a great tool for both – and it’s the only page builder which encourages code hacking and experimentation. It’s a little bit like CodePen married to a WordPress Theme, with a strong Bootstrap seasoning. BBE behaves like a standard and lean Theme, until you decide to enable it’s page builder engine on a specific page – getting started is really easy, all it takes is one click when prompted – and you’ll be able to create full-width, edge-to-edge web page designs, without having to leave the page itself: it’s a so called “frontend builder“. The advantages are immediate: building a custom webpage, while being able to see exactly how things look, without having to remember the usual quirky associations between a site’s element and it’s options panel, is simply priceless. This WordPress page builder tries to push editing contextuality to a new level, to make prototyping faster, but without limiting your markup freedom. Let’s address the problem of creating a new web page – where we want the design to be original. BBE allows you to easily divide the page into “blocks” that can be populated with readymade components, and then customize with hand-coding if you want. That’s extremely handy if you know a little bit of HTML. While editing the HTML code of a specific block, you do instantly see live the result on the screen, but you don’t risk messing up the other blocks of the page – even if you misuse your tag closings. The worst that can happen is that you make a mess, only in that part. This encourages experimentation and, combined with the full editing history, promotes a bit of tweaking and learning. BBE can do something that generally other page builder don’t: help you becoming a better designer, learning and experimenting new things, while feeling “safe”, “at home”, and getting the daily job done. The ability to quickly draft a page structure, insert and refine contents following a natural, smooth workflow is what you’ll love most of BBE. After that, being able to visually tweak elements and add some personality to your design with CSS Hero, will be quite an exciting ride. There is less and less friction between your imagination and your product.